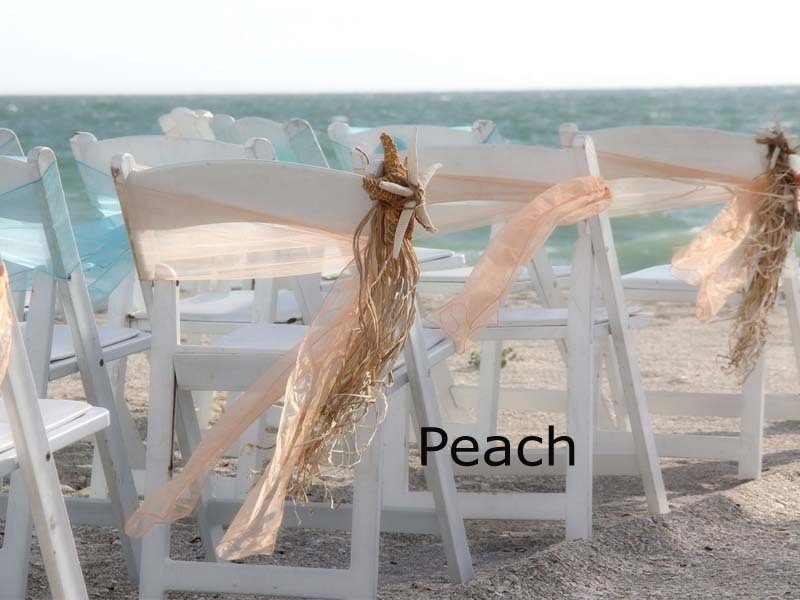 Florida Weddings - An insider guide! 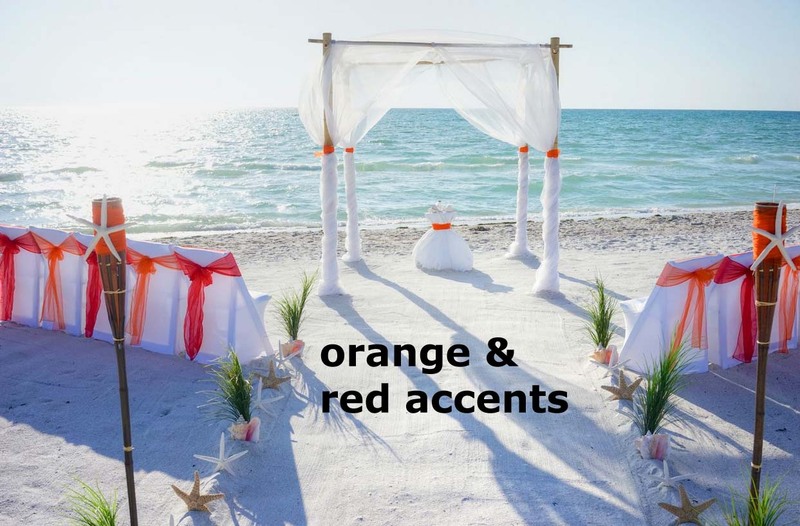 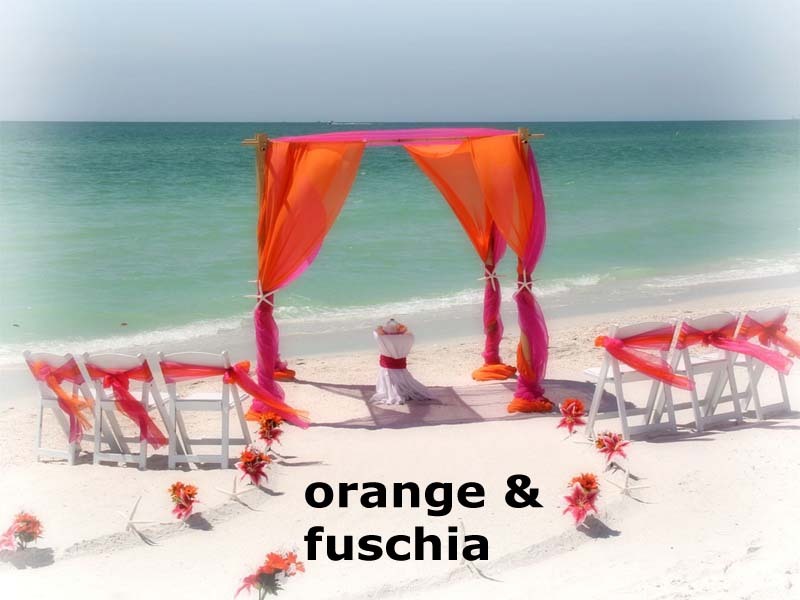 There seems to be a whole new language when it comes to Florida Weddings! 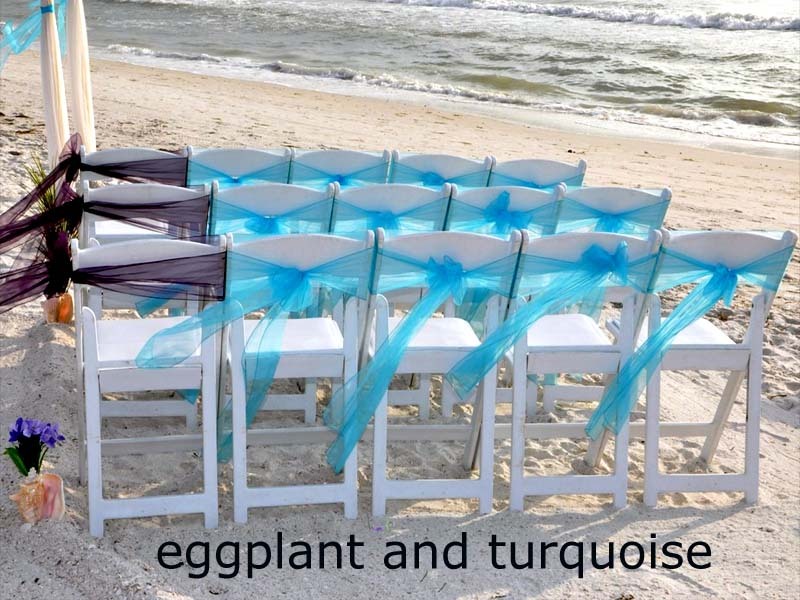 It can be daunting ... what is the difference between cornflower blue and tiffany blue? 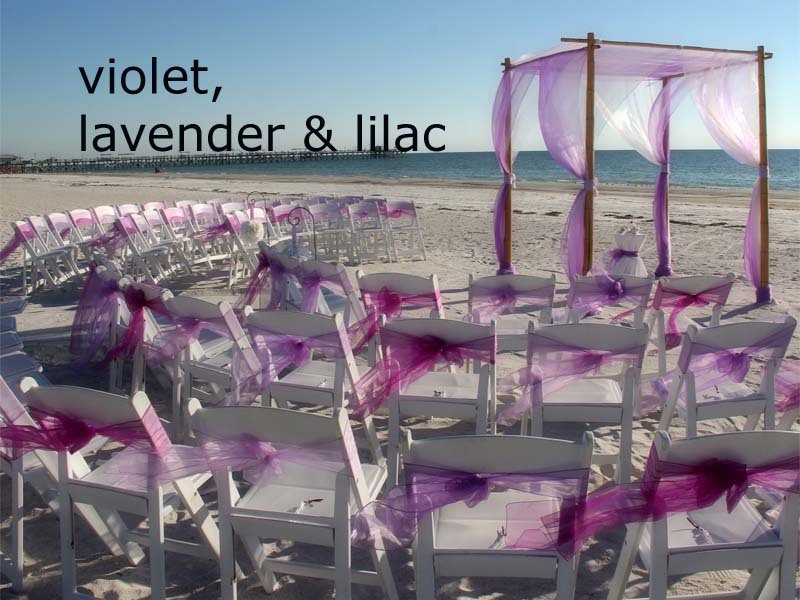 When does purple become lilac or plum? 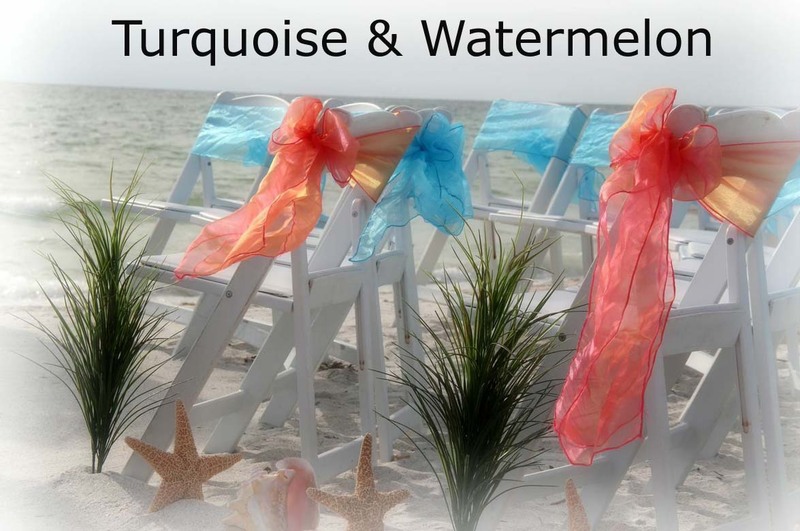 What is a tiki anyway? 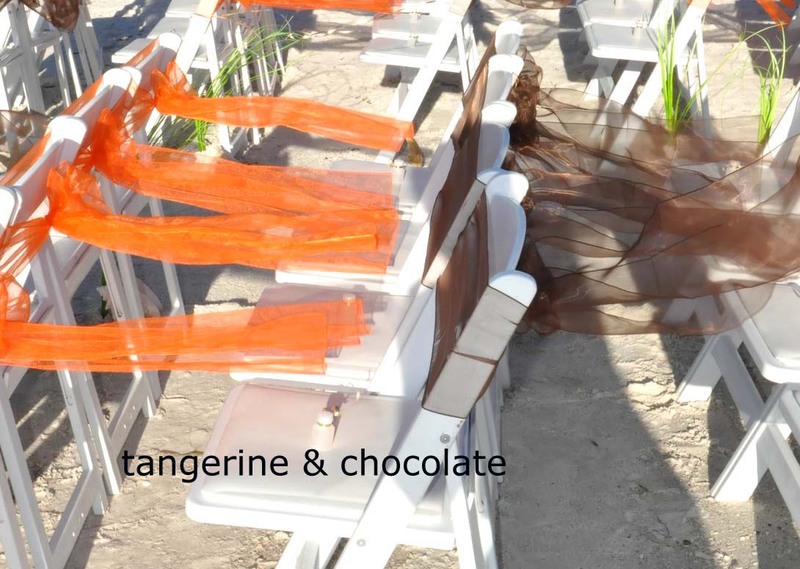 That's why we've put together this inside scoop for you. 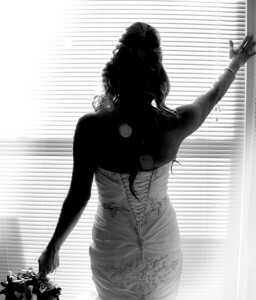 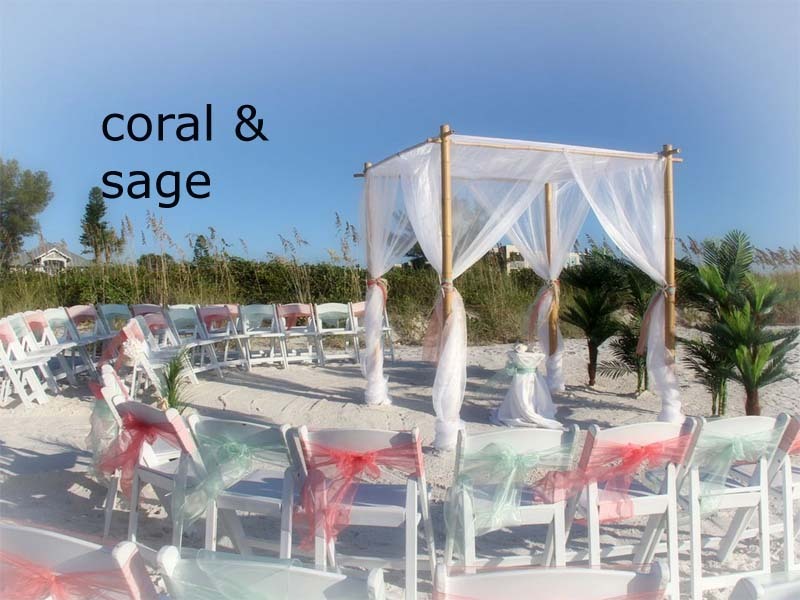 At Suncoast Weddings, we want to give you the best choices and information so that your wedding day, vow renewal, elopement or commitment ceremony is everything you hoped for and more than you ever wished for. 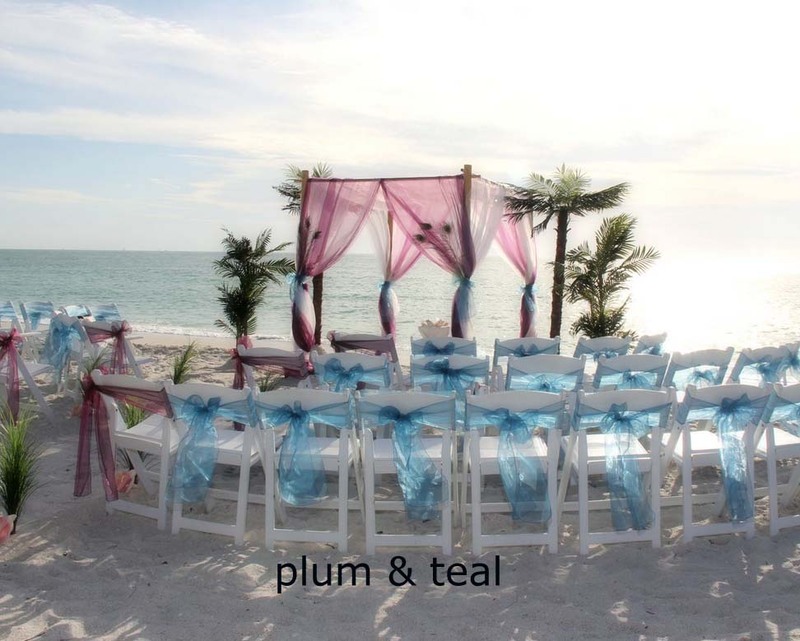 Let us take care of the details and we'll do what we do best - plan and deliver a truly special occasion. 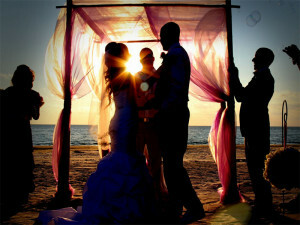 This page is designed to break through some of the myths and guide you towards your perfect experience. 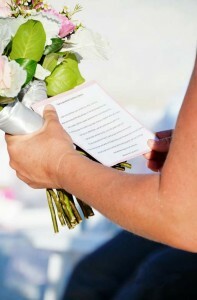 We'll work with you and draft a proposal showing exactly what is included in your package. 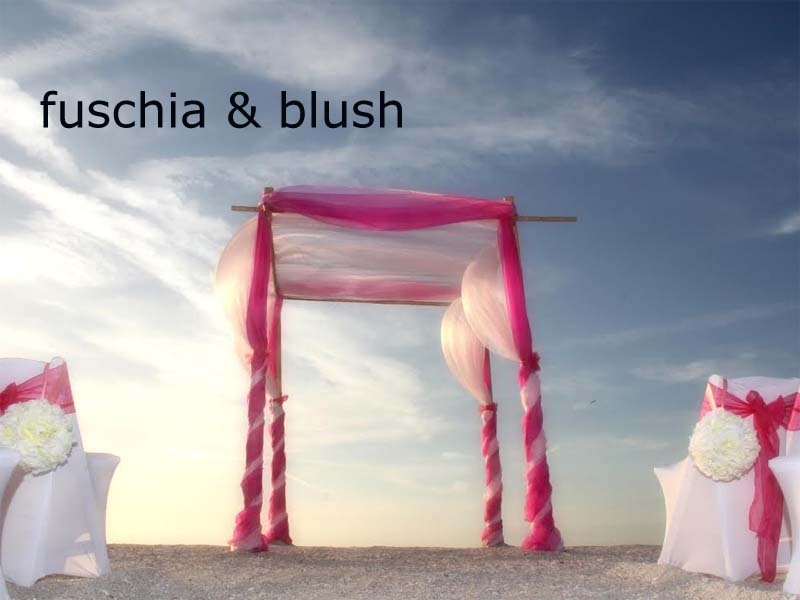 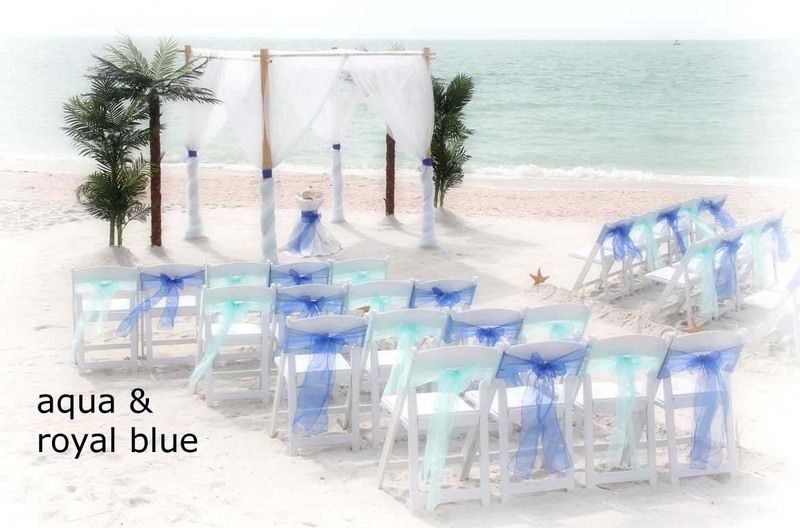 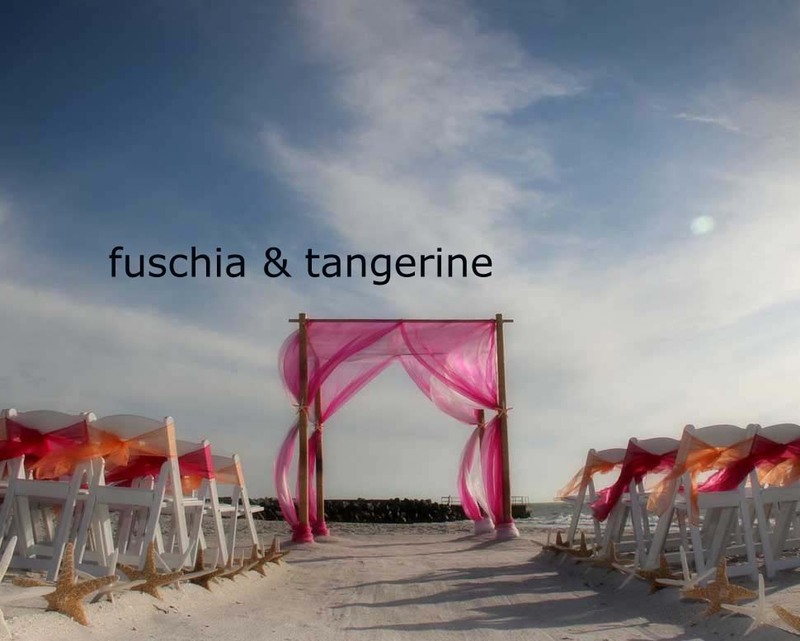 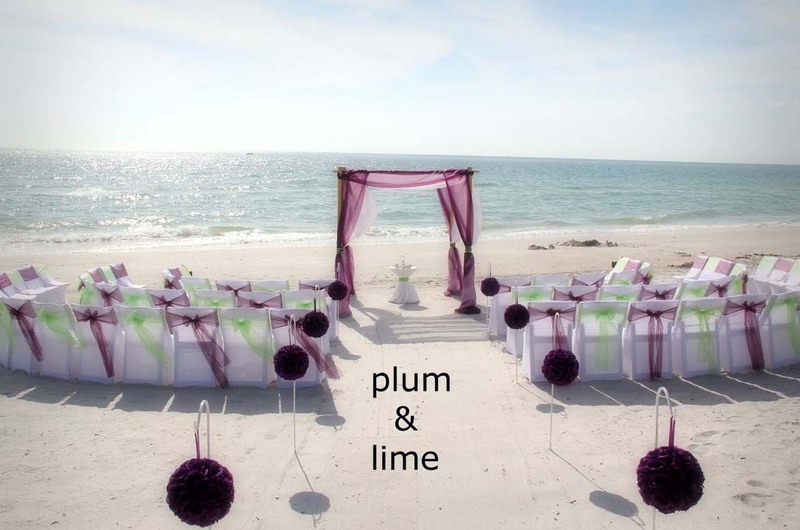 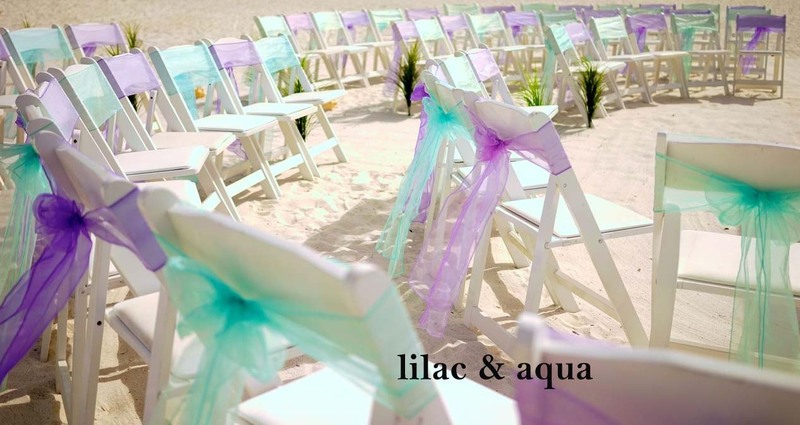 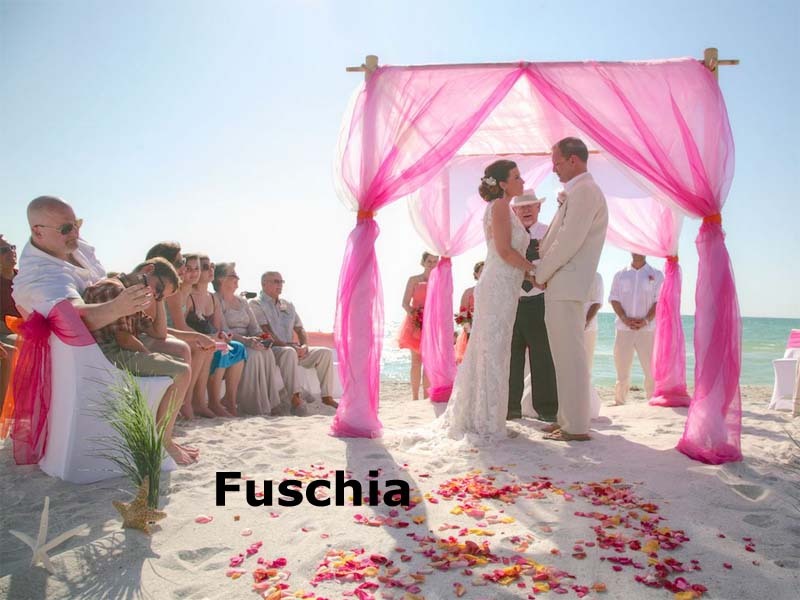 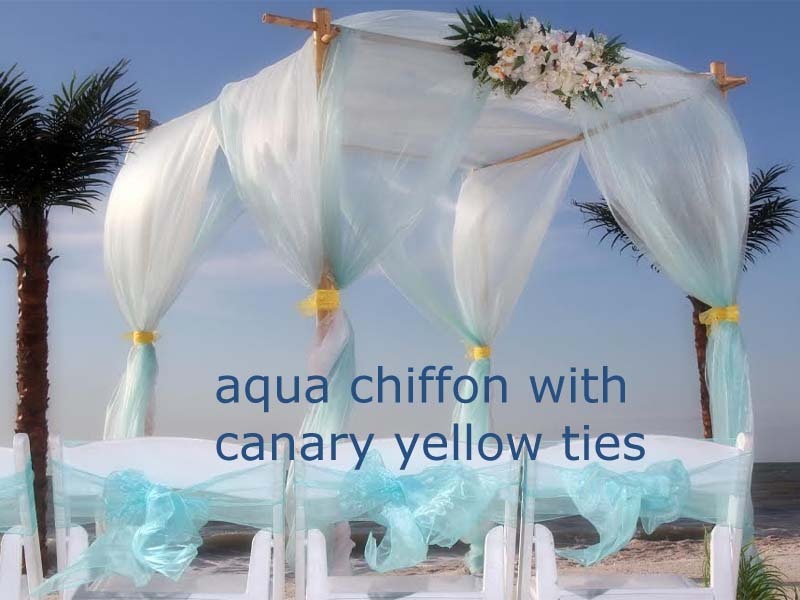 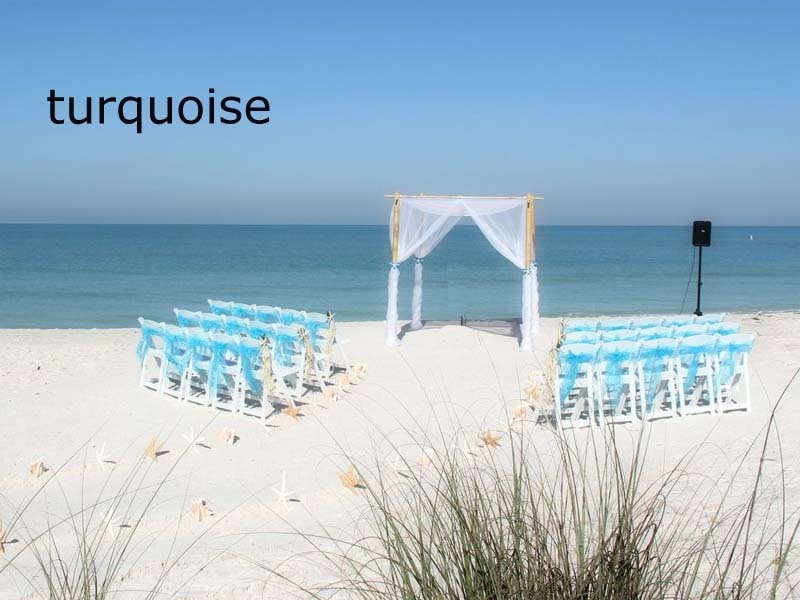 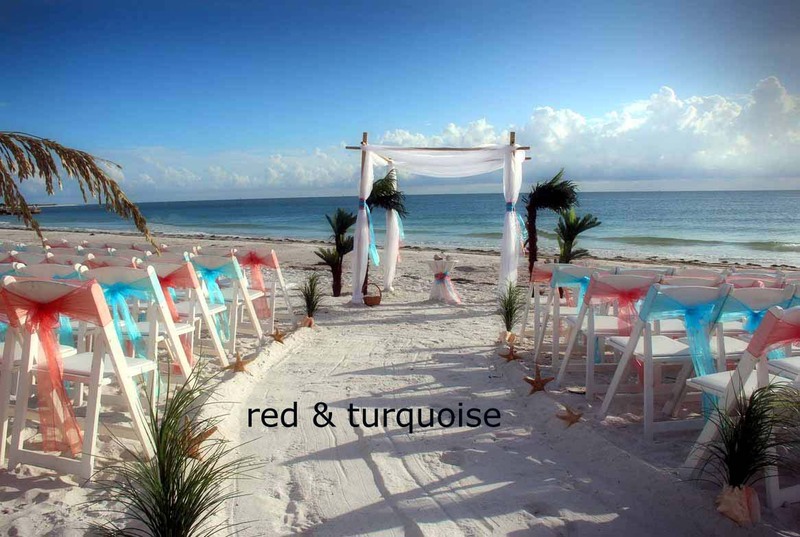 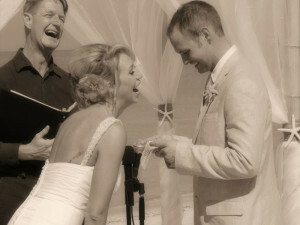 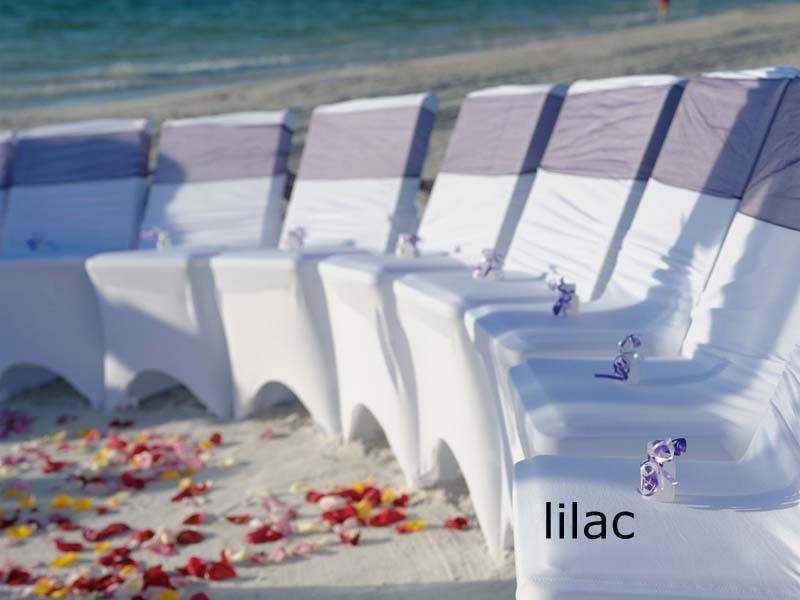 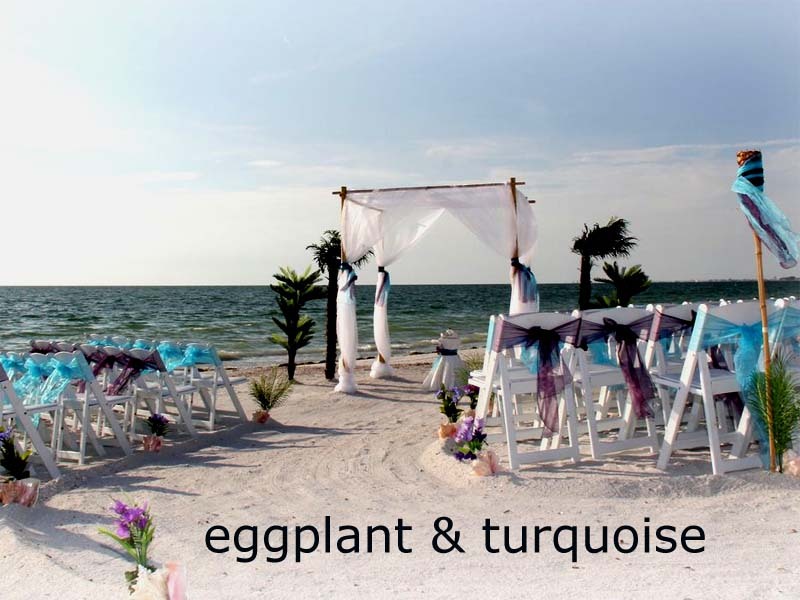 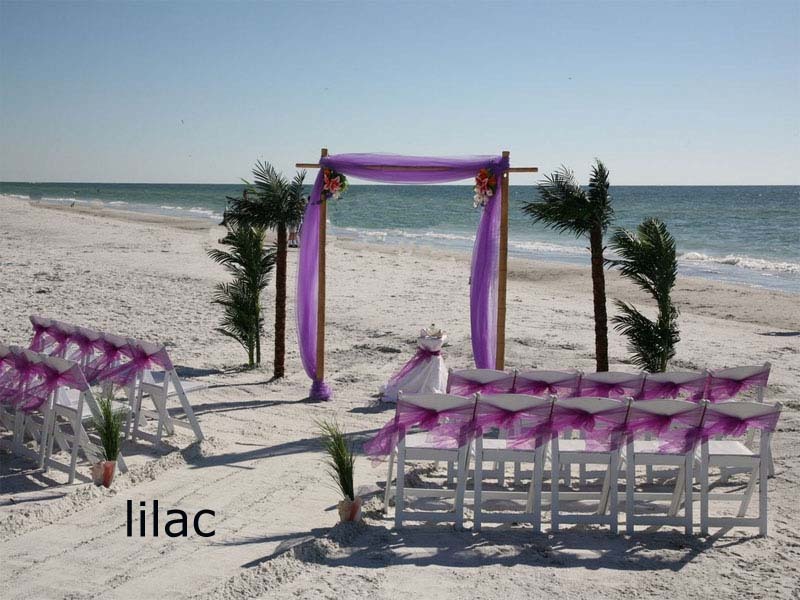 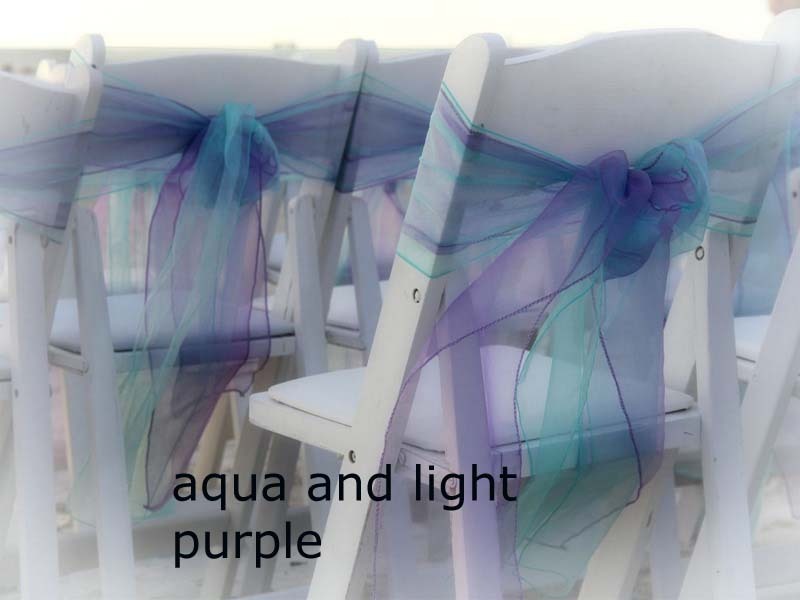 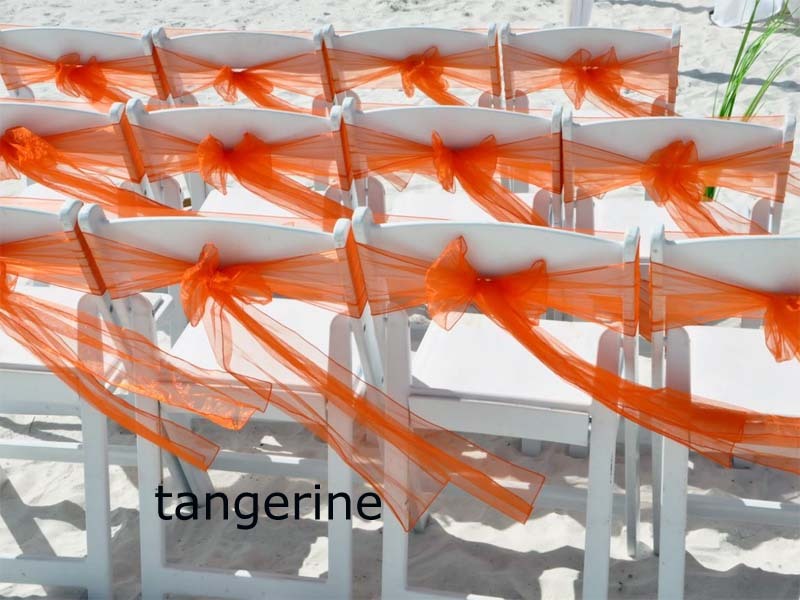 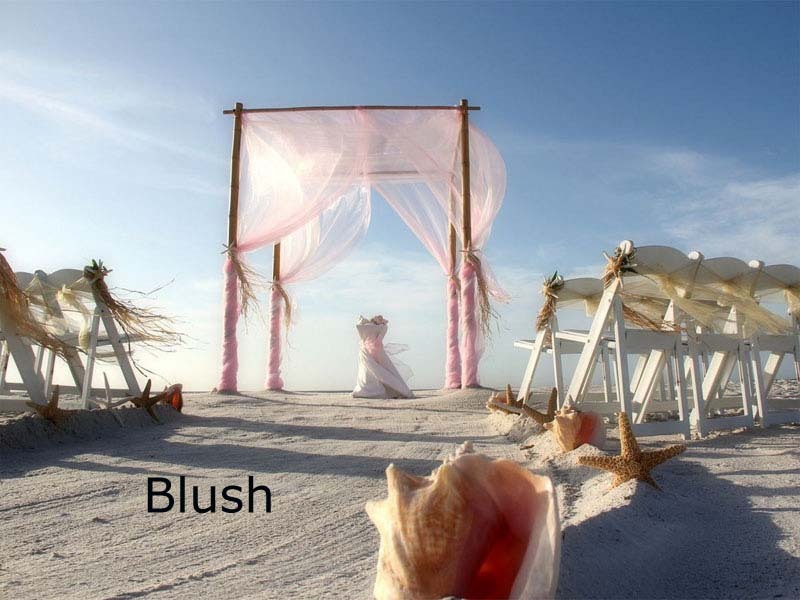 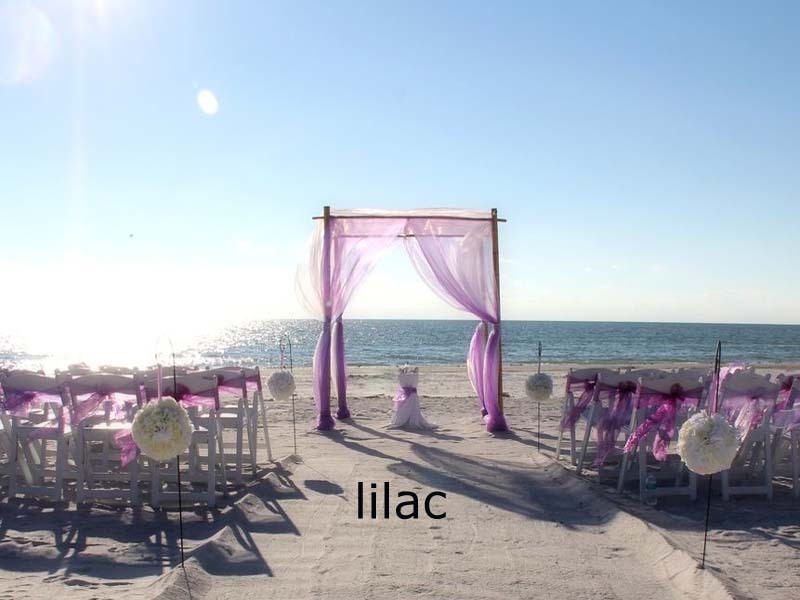 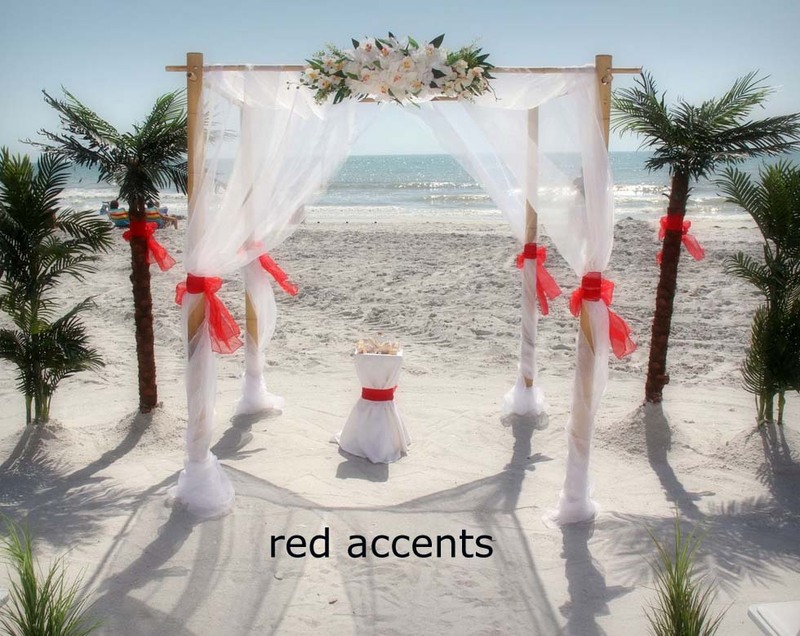 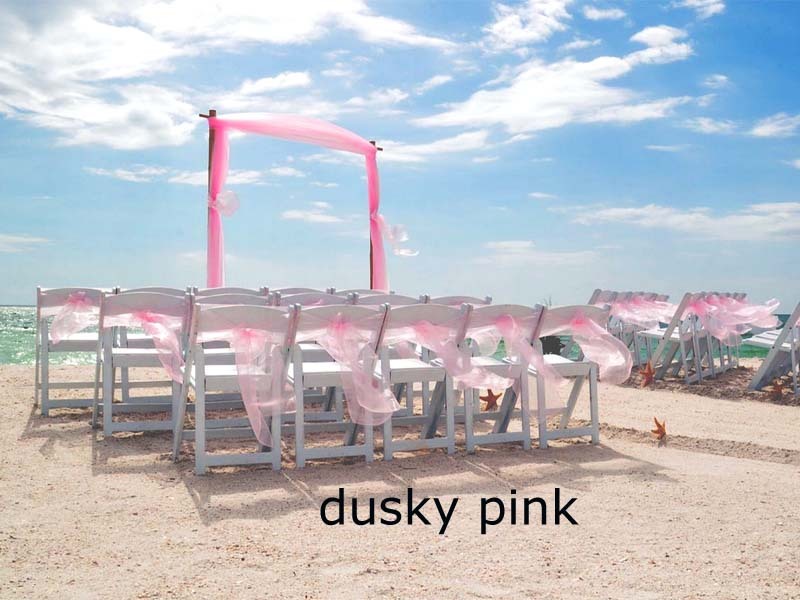 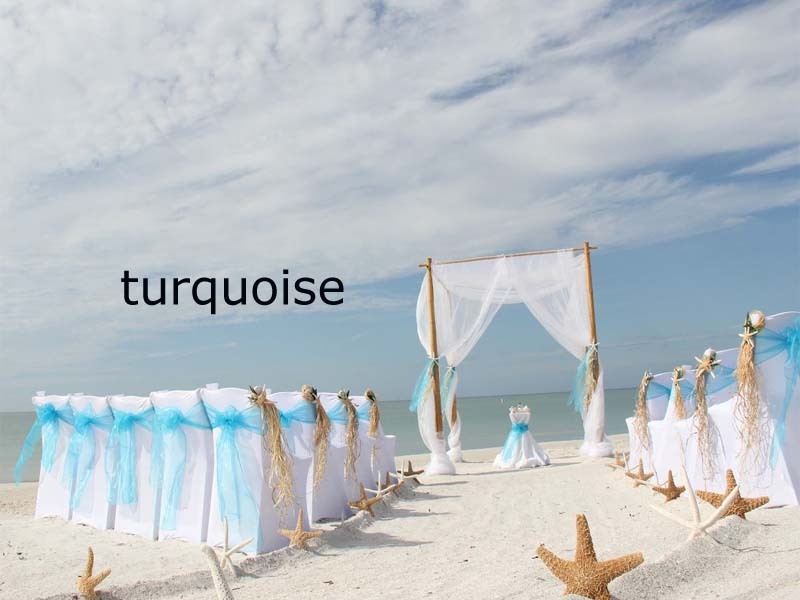 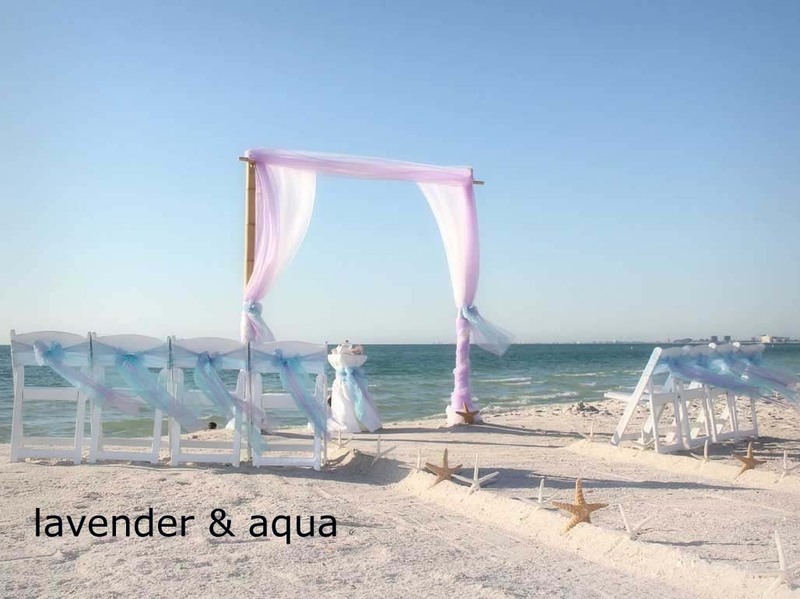 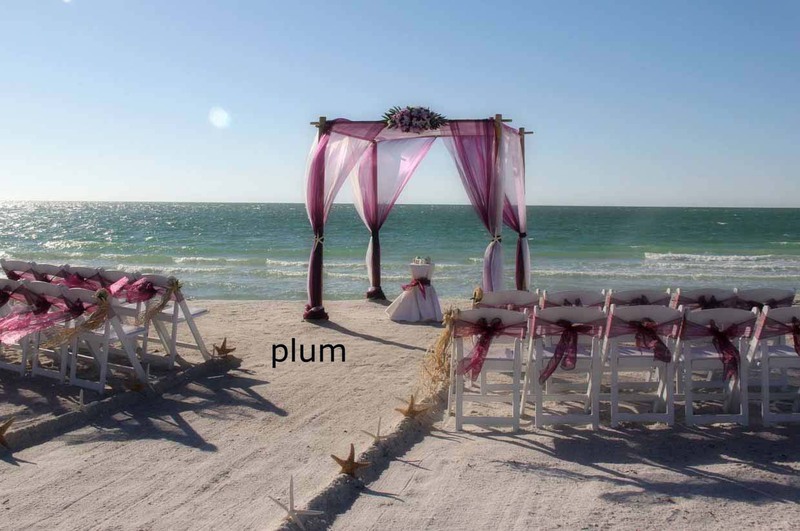 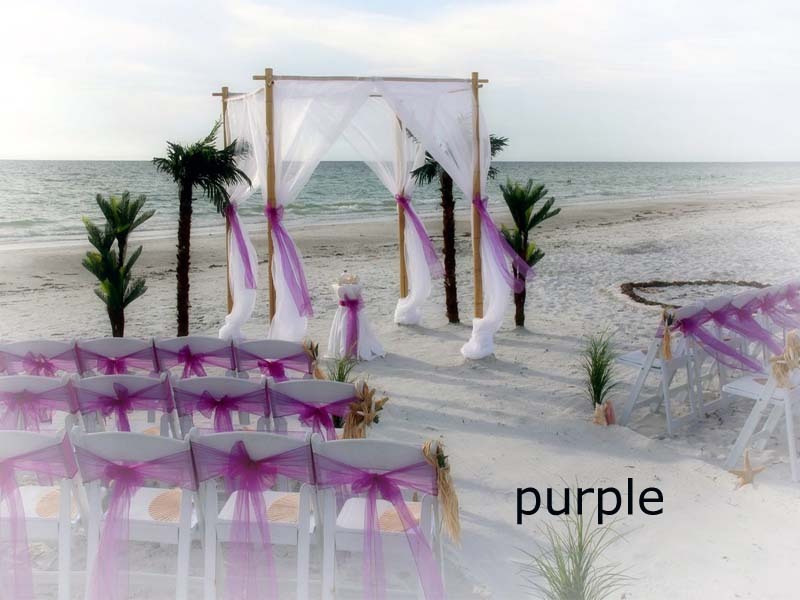 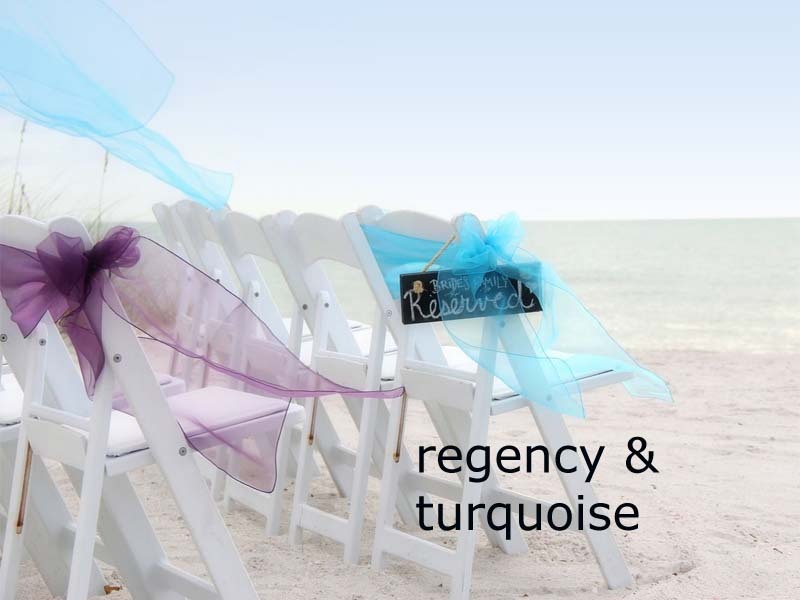 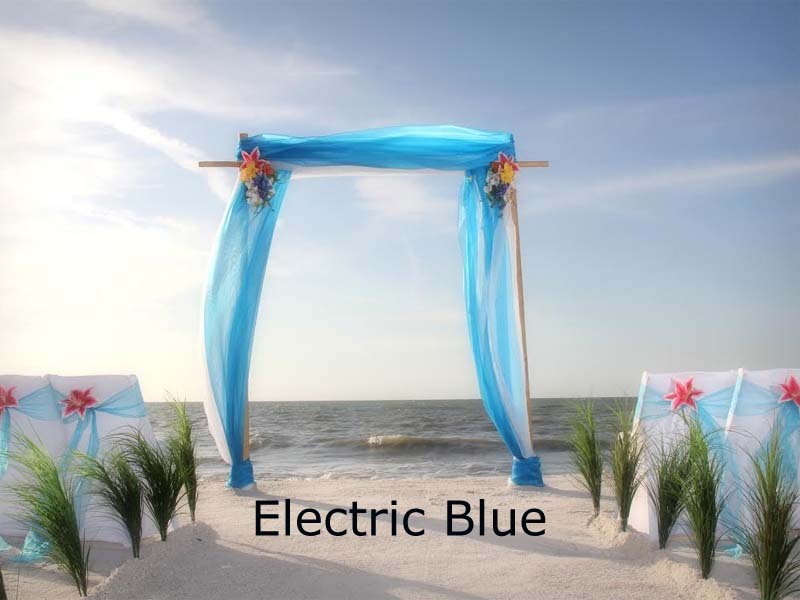 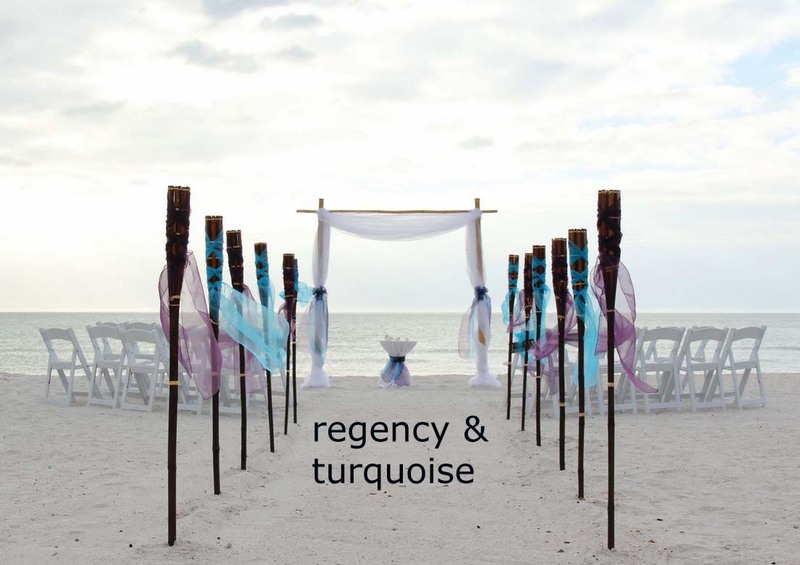 Florida weddings by Suncoast Weddings make your beach dreams come true. 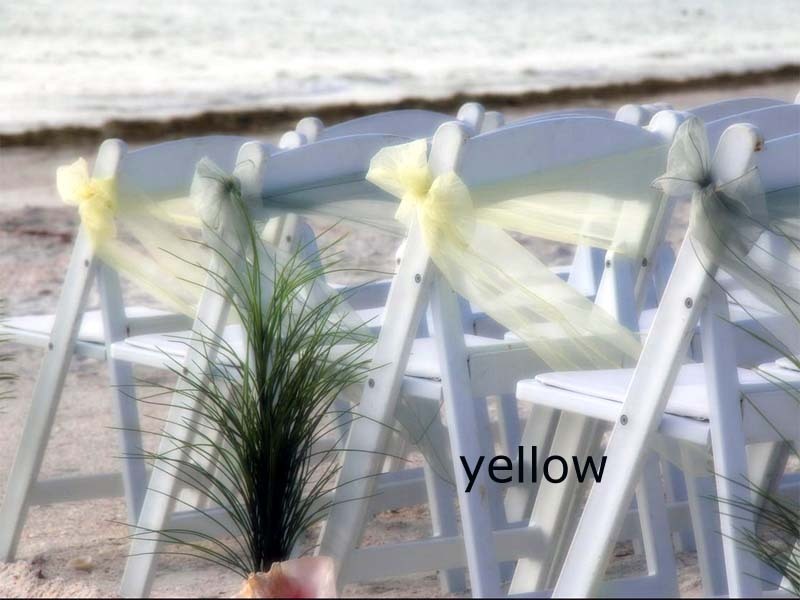 We have a very extensive range of colors but some are definitely more popular than others at certain times of the year. 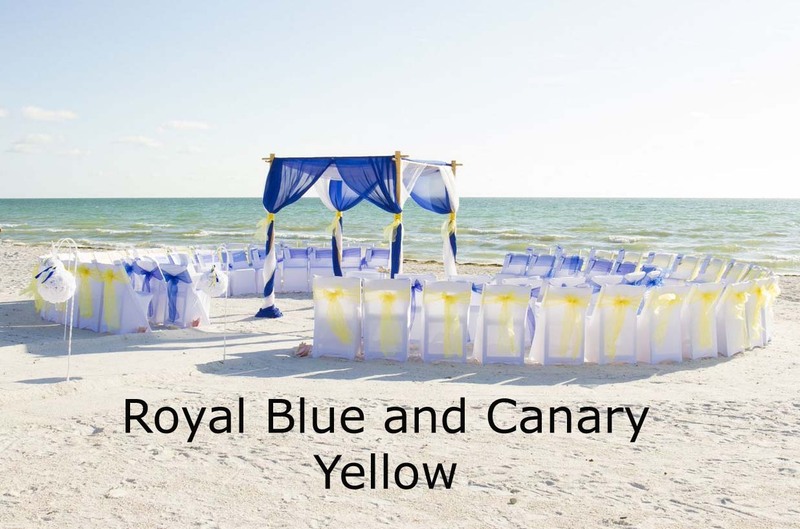 We've highlighted some themes to show the difference between Subtle hints and Vibrant colors, but here is a guide to show you some of our most popular shades. 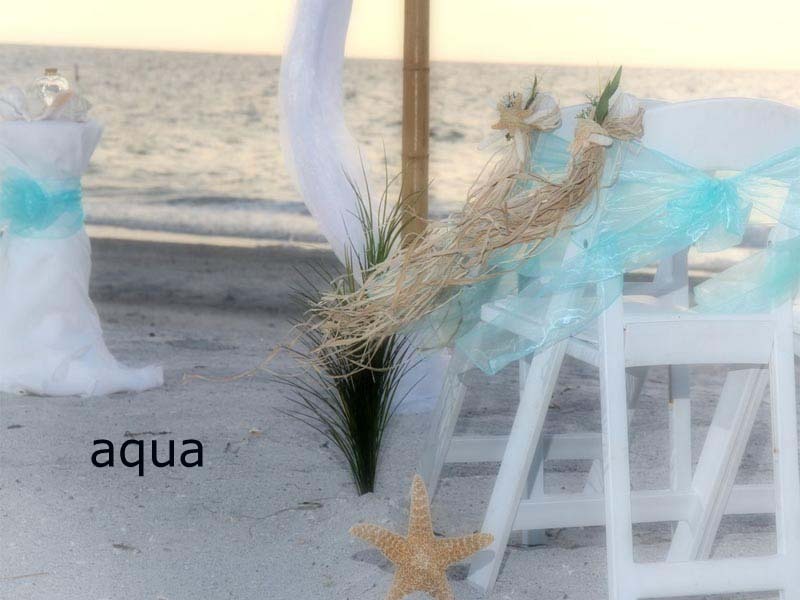 In Maori mythology, Tiki was the first man. 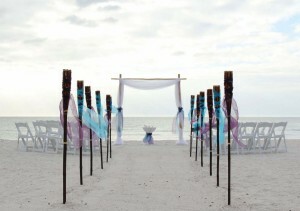 A tiki is a large wooden carving in human form, often serving to mark the boundaries significant sites. 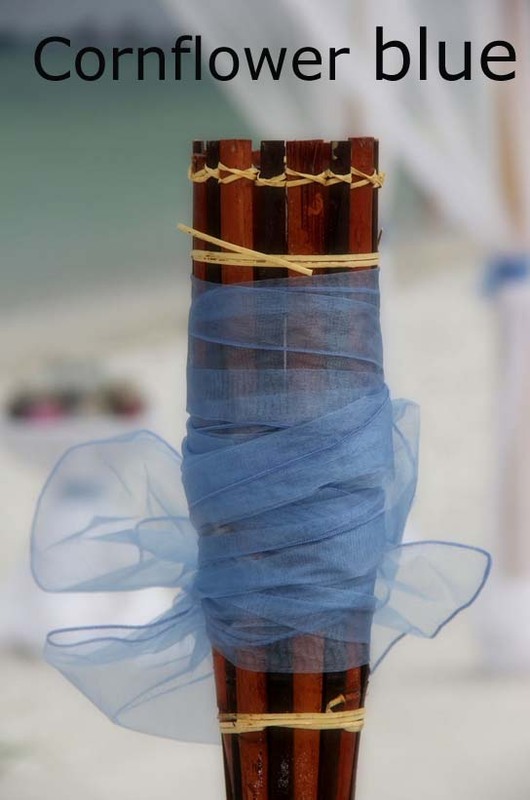 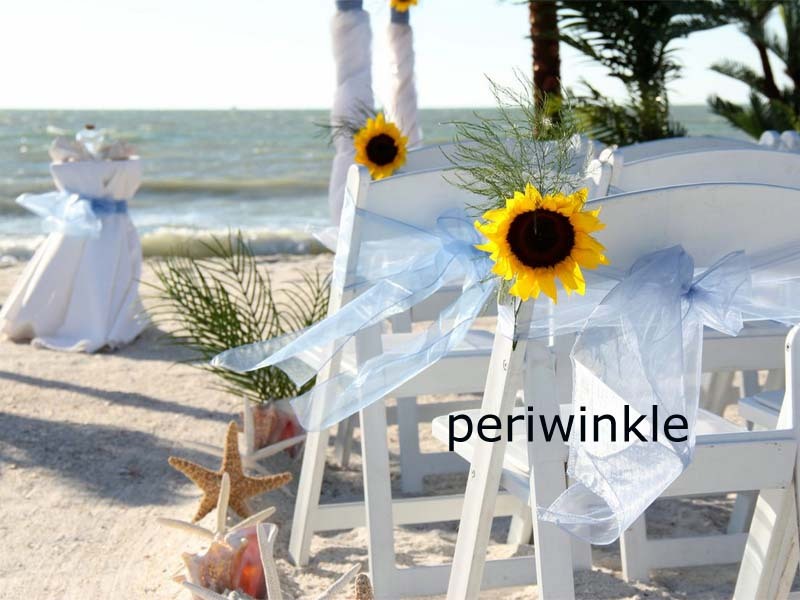 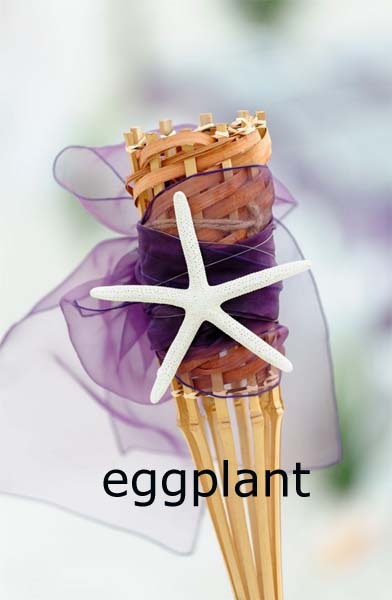 For your Florida beach wedding, a tiki is a stake-like marker which can be adorned with flowers, starfish or sashes. 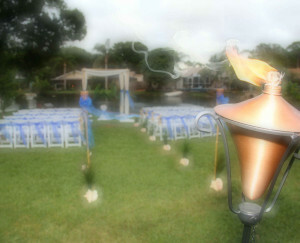 For a garden wedding at a private residence, it is even possible to have true tiki torches which can be lit. 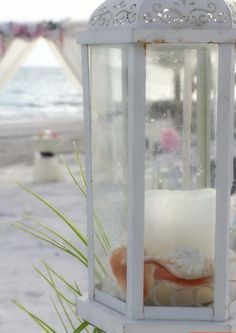 The idiom to carry a torch (for someone) means to love someone deeply and the torch is a common emblem of enlightenment and hope. 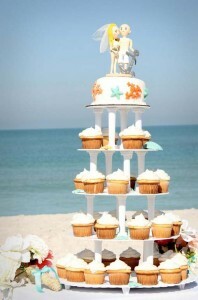 Looking for ways to make the day extra special? 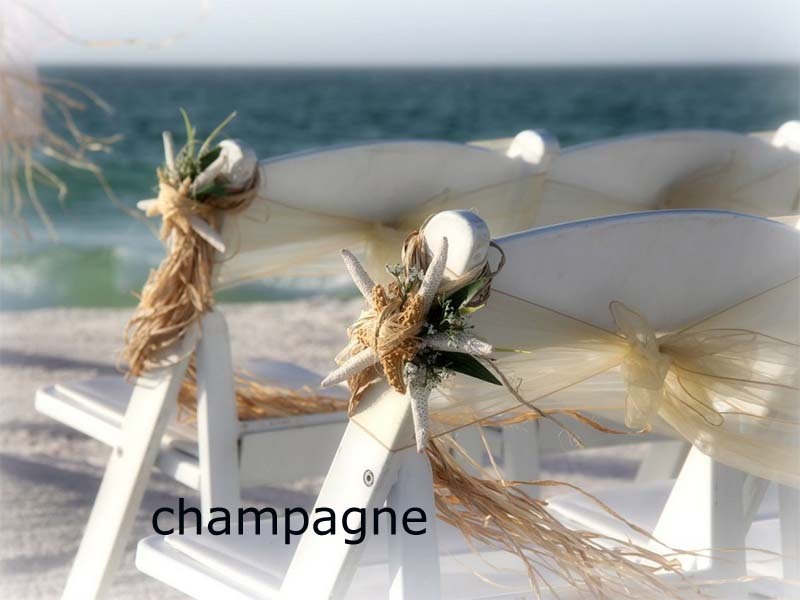 Confetti and rice are not allowed on the beach but bubbles are fun!